When you are looking for an industrial yet artsy venue for your wedding, there are so many choices in the District of Columbia. Fathom Gallery, Arena Stage, The Loft at 600 F and so many more offer just that. One of our favorite spots for an industrial chic wedding is Longview Gallery on 9th street NW. It's conveniently located close to many hotels like the Marriott Marquis, Renaissance, Grand Hyatt, and the Embassy Suites. Your out of town guests will have lots of choices for their accommodations while visiting the city for your wedding. longview Gallery offers a unique setting for your wedding. Behind the gallery, Blagden Alley is a great location for some quick portraits after you tie the knot. This particular couple in this photo chose Spilled Milk Catering to provide the food for their reception celebration. This couple had a guest list full of adults and kids, so sliders, fried mac and cheese, tater tots were the perfect and absolutely delicious choice to serve. A macaron tower from Buttercream Bakeshop stole the show under the dramatic lighting that John Farr Lighting Design Created for the event. The lights also highlighted the beautiful floral design that adorned the tables and bar by Sweet Root Florist. The ceremony was set apart by the amazing draping skills of Fabrication Events. A black and white dance floor set the stage for the party after the wedding vows were done. DJ Dan kept the music going as it flowed seamlessly from song to song. 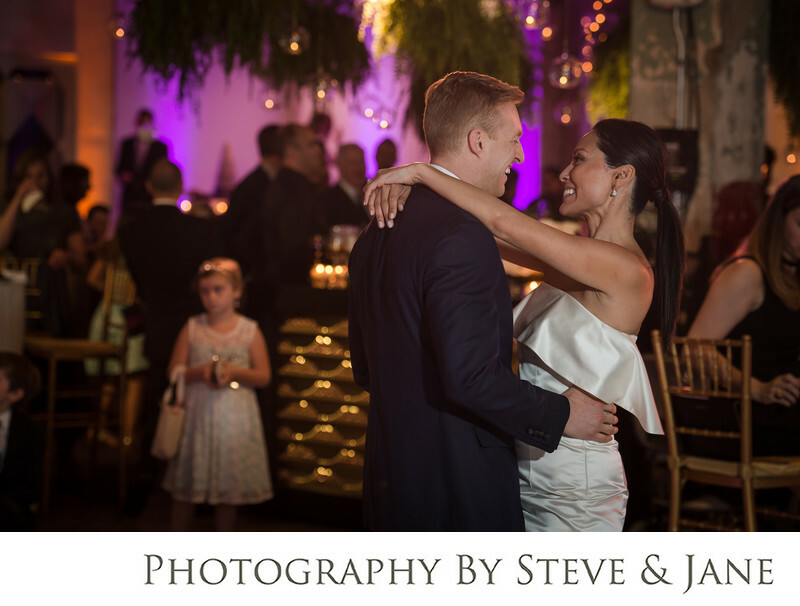 The dance floor was never empty from the start until the reception ended. Jennifer Jones and Ashley Depew of Red River Co. was the one to put this amazing team of vendors together for the couple. She is one of the best in the industry and certainly makes each event one of a kind for every couple she works with during the wedding season. Location: 1234 9th Street NW Washington D.C. 20001.